Being a Master Esthetician gives me great happiness & satisfaction knowing that I am pampering people & making them feel their very best! It is my love and passion! My services include facials, back facials, enzyme peels, manicures, pedicures, body waxing & spray tans! We also have five amazing massage therapists & a lash & makeup artist as well! 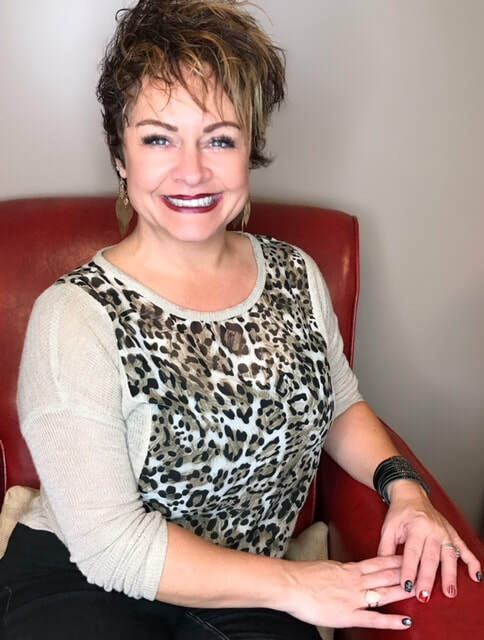 Having studied at Avalon School of Cosmetology in Layton, UT and receiving my Master Esthetics license in 2016, has brought me so much knowledge needed to perform services. Also, being a Southerner from Alabama I love to add in a lil bit of my Southern charm along with my services to make you feel completely comfortable & relaxed! I love to use Dermalogica, Hale & Hush & Skin Script professional products for skincare and am certified with all of these companies! Re-discover your sense of well-being with personalized therapies that nurture both body and mind. Enjoy an experience that will allow you to achieve calm, relaxation and peace inside and out. As licensed Master Estheticians and Massage Therapists we are able to offer you everything from the best relaxing massage to nails, lashes, makeup, skin care, spray tans & waxing! Experience the finest treatments available in Northern Utah at our convenient location just right off of the I-15 interstate onto State Street in Clearfield. Free and safe parking insures your visit with us will be care free! Experience the stillness of Body Bliss Skin & Wax Studio and emerge back into the world calm and invigorated! Come see our beautiful spa!